"We used this ranch for my wedding. The ranch is really closer to a tiny resort. It was an absolute dream come true! The entire place was kept immaculate and the grounds were lovely with flowers blooming, a perfectly trimmed lawn and a spectacular view. The entire staff was very accommodating and responded to any questions I had almost immediately. You truly have to see to believe the beauty of the place. I'm really appreciative that the owner, Mr. Andrews, made a choice to share his beautiful getaway with people. The staff tends to stay in the background, magically appearing at the smallest of requests. As an added bonus, the food was top notch and we were able to have the meals at a time of our choosing. 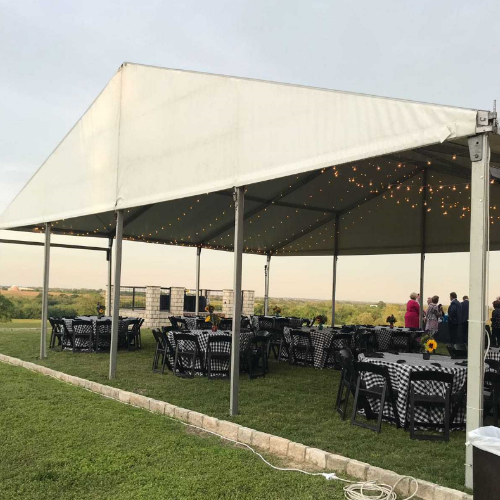 If you have any sort of soiree planned in the future, from a small intimate gathering to an event as large as a wedding, I definitely encourage you to use Perma Vista Ranch." 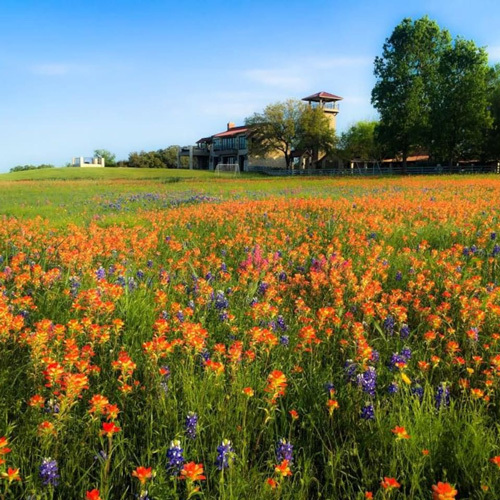 "Last year, when I heard our son was getting married in Brenham during wildflower season, my first thought was "where will we stay with our large family coming from out of town"?! Options are limited in such a small town especially that time of year. 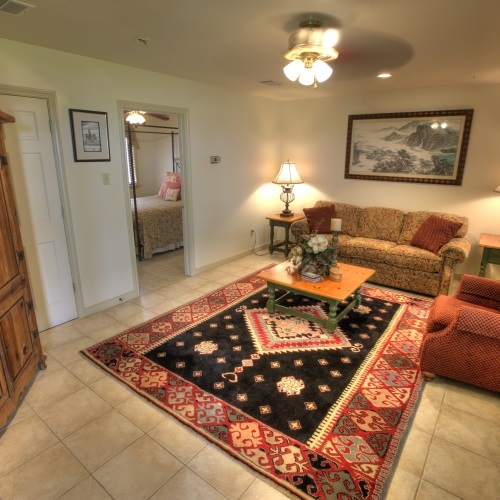 We have family of all ages coming long distances needing a comfortable special place to stay. I happened to find Permavista Ranch online and scheduled a visit. Ruth gave us a tour and a description of the services and I reserved it on the spot. 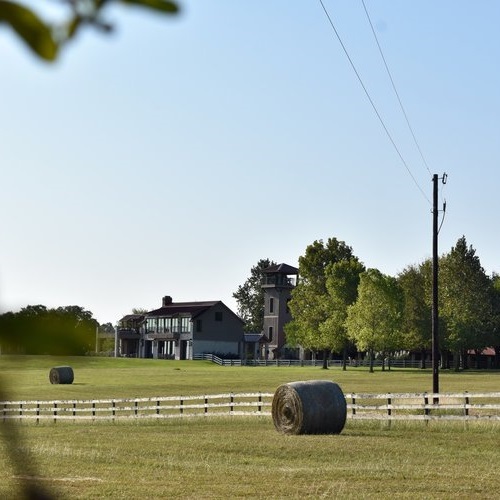 Over the past few months, I have made several visits out to the ranch to make arrangements for special family dinners, horseback riding, and a large rehearsal dinner on site. Ruth was available to give me input and let me get the feel of the place on my own. No pressure sales, just presented the options, made experienced suggestions and introduced me to Julian, Permavista's chef and on site manager. Together, they helped me plan a memorable experience for our family to spend time together in between the wedding festivities. It gave the adults time to relax from high stress work life while providing a safe place for the children to have fun at the basketball court, shuffleboard and pool tables and horseback riding. The on site staff made us feel very special providing a personalized sit down breakfast every morning, a culinary experience for an intimate family dinner and being available to help out in any way needed. They went above and beyond my expectations for the entire weekend and I hated to tell them goodbye - wonderful people all around! We also hosted a 100 person rehearsal dinner on the back lawn with all of the trimmings. The backdrop and view of the property made for a very special and beautiful evening. The photos turned out beautifully. Julian and his staff worked with us to keep things moving forward throughout the chilly night, even making adjustments to the lights in the tent, getting fires in the fireplace and overlook fire pit then helping with end of night clean up. Could not have done it without them! Overall, our experience was memorable and all of the family hated to leave for the airport on Sunday morning to head home. Our stay at Permavista Ranch played a huge role in making priceless family memories of this wonderful busy weekend! Thank you to Ruth, Julian, Shannon and their staff for their kindness and consideration throughout our visit. We WILL be back!" "For a working team of 20 -it was a perfect get away location for team building, recreation and atmosphere for our folks to come together and engage. Just now wish we had made this a 2 night event. The host was very hospitable and the house and grounds were very picturesque with abundant wildflowers in on the grounds. The great room is where we spent most of our time and it was perfect for group presentations, there was adequate space on the campus for break out sessions and socializing space with the outside fire pit, patio and shuffleboard and pool table inside kept our group very busy. A bit cold for the pool and hot tub, so it was not used this tip." "Great place for a big group. We loved riding horses, hanging out in the game room, and the amazingly helpful staff. The food was great, as were the views." "We have had such an amazing time! The food was delicious, the property was gorgeous, and service was wonderful! We will definitely be back !" "Perma Vista was exactly as described. We will definitely visit again." "My work team stayed here for a holiday celebration and we cannot rave enough about our time here. The staff took wonderful care of us and were extremely responsive. The planning of this trip could not have been easier thanks to them. 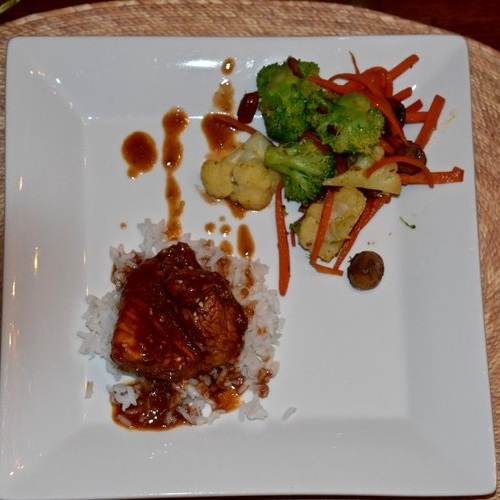 Our dinner was prepared by private chefs and was absolutely delicious. It was so good we tried to get the recipes from the chefs! The horseback riding was probably the highlight of our trip. We were all newbies to riding but the instructor was great and the horses friendly and well-behaved. None of us wanted to stop riding! Thank you for such a great trip!" 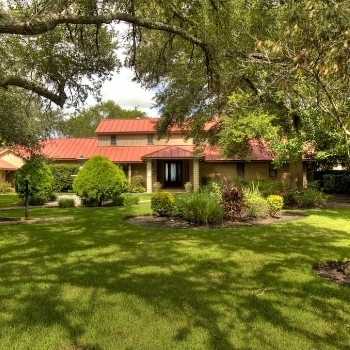 "The ranch is an amazing piece of property! We spent a great family time.. the kids rode horses, play outside and enjoyed all the amenities! I recommend it for everyone wanting to have some quality time! It’s the perfect place to stay!" "Very nice place. Our whole group of 16 enjoyed the house very much. The chefs were amazing and so professional. We would go back!!!" 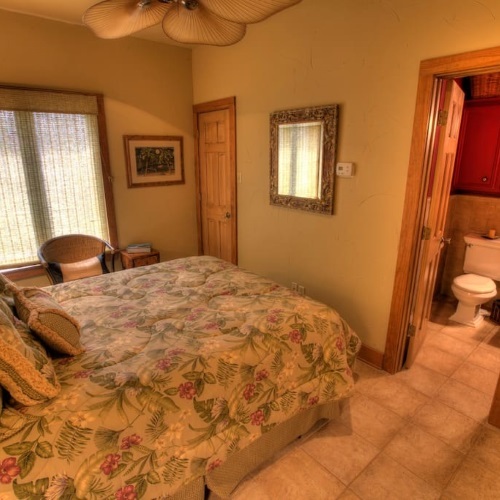 "Truly a remarkable property and excellent hosts. 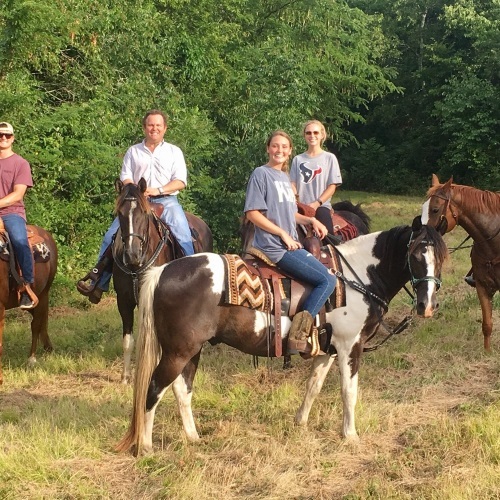 We loved horseback riding through open pastures, running along the dirt roads around the ranch, grilling outside, watching college football and playing pool and shuffleboard in the game room, and our trips into town for the Texas Arts and Music Festival. Thanks to the entire staff for a fantastic weekend!" Sept. 30- Oct. 1, 2017. "PermaVista exceeded expectations! The location, amenities, food, and service was excellent! We will be looking to book it again in the future!" "Really professionally setup of staff and accommodations. Beautiful home & property, really well up kept. We had a large gathering of close to 30+ individuals and everything went smoothly. Breakfast was included and it was very delicious as well. Thank you to Robert, Ruth, & Julian for making this a memorable weekend for our retreat. I WOULD HIGHLY RECOMMEND THIS PROPERTY!" "This place is amazing! Loved it and can't wait to go back ! 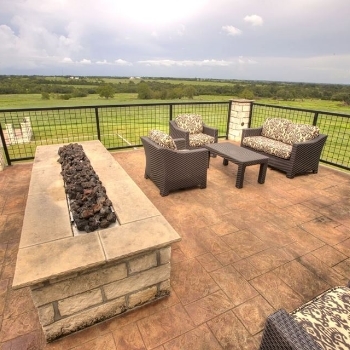 Breathtaking views, beautiful accommodations! Great friendly staff! Cuisine was awesome!" "This location is simply breathtaking! I celebrated my 40th birthday with my family and friends and I couldn't have been more pleased. Ruth and the staff were amazing, accommodating and worked so hard even after the set times we discussed. Their main focus were ensuring my guests and I were happy. I am forever grateful for this experience!" "We held a leadership event there. It was a great space and plenty of room!" 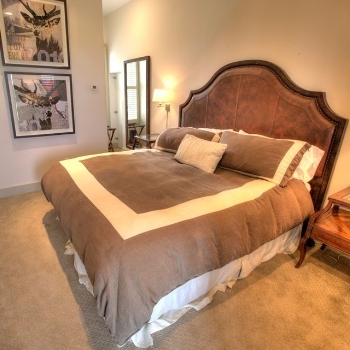 "We absolutely loved our stay at permavista. The hospitality of the crew was exceptional, as was the food, scenery, and accommodations." "Beautiful place! Perfect to share with a big family, sport team or office staff! 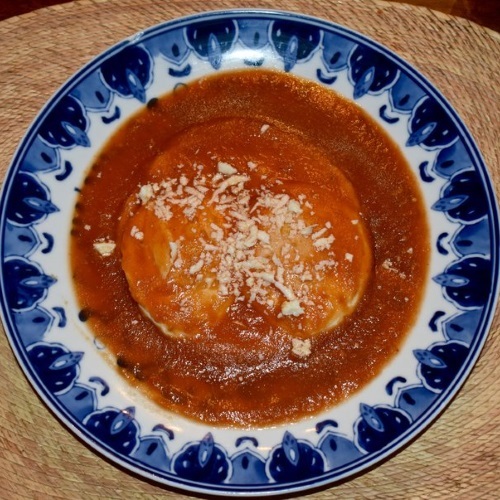 The food was amazing and the service was perfect!" Loved our weekend at the ranch. The accommodations are excellent. All are comfortable and clean. The food was wonderful. The complimentary breakfast was exceptional and the other meals and assistance were fantastic. The cooks and kitchen staff were fabulous. Loved our horse ride too and Shannon at the stable was extremely skillful and helpful. The horses were fantastic and our ride was one of the best I've ever had. 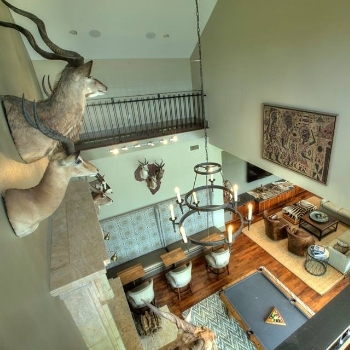 The great room with massive TV and pool table and table shuffleboard was a great gathering spot. A great time was had by all." I am utterly overwhelmed by my experience at this ranch. I had my parents 50th wedding anniversary here just moments ago and every guest in attendance was floored by the location and the grounds. It is STUNNING! This place is beyond phenomenal. And worth taking seriously as a viable option, if not your only option, if you wish to throw an absolutely memorable event. I promise you it will fully honor your vision and go beyond your imagination. The owner of the ranch has truly created a one of a kind establishment that oozes with great energy. Plus it is super immaculate. And of course, the horses add to the regal country flare. If you're looking for a place to host your next event you will be over the moon pleased by the grounds and the sheer utter consideration of the staff and their hospitality. The sales executive Ruth, the horse trainer Shannon, the chef Jullian... along with all the additional staff on the grounds were the added bonus. Their passion and thoughtfulness will reverberate around you that will help you to create a picturesque event. They truly are the heart of what makes this location a one of a kind opportunity that you should by no means miss out on. BTW the photos of this establishment DO NOT give it justice. This place is remarkable!! The ceilings in the game room are super high and regal. The beds are furnished with top of the line matresses. 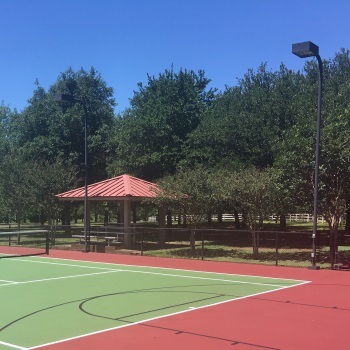 The basketball, tennis court, and watch tower were perfect for kids and adults to play and explore safely. 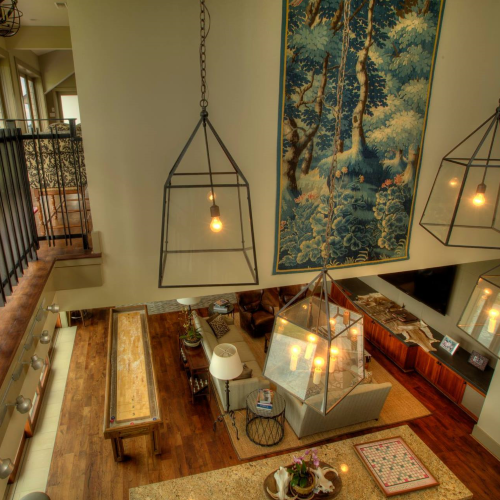 The decor is perfectly reminiscent of something out of a tv show which sets the tone for a luxury country affair. Even if I tried, I couldn't think of anything that would cause you to second guess the appeal of this location. Despite the distance, it is well worth the short trek of an hour and a half. 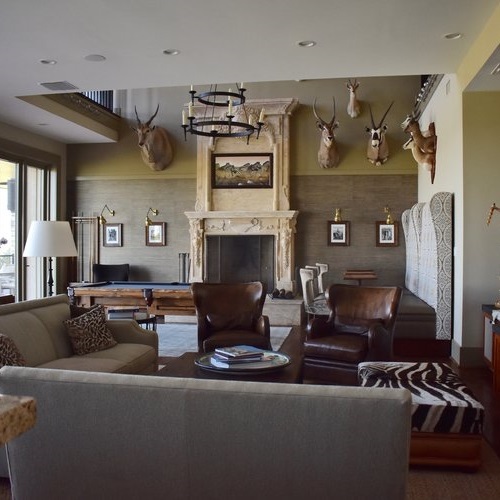 The lodge, its layout, the chef's food, the pristine views, and the horses are all, hands down, by far, the most superior you will find for miles around. Nothing you can think of could even come close! This is undeniably a top shelf find! And in truth, this is a fully honest, sincere review. I am just so floored by the joy that I, my family and our guests received and I owe all that to Ruth, Shannon, Jullian, and of course Mr. Roberts. Thanks for sharing your home with us. We are sincerely grateful for your thoughtfulness. You've made a huge impact on my family's lives over the short stay. This place is... Remarkable, Unbelievable, & Unimaginable. THANK YOU TO EVERYONE THERE!! xo"
"Robert and his team were wonderful. I booked this place for my manager and his coworkers as a team building retreat and they loved it. My manager told the he loved it and the place was spectacular. 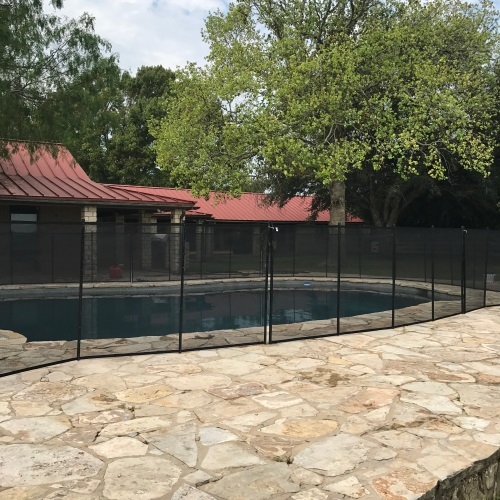 Robert's team was very attentive and paid attention to every detail and request we made. Communication was awesome and they answered every little question we had. Thank you!!" "Outstanding facility with everything you need to entertain the family. Outstanding customer service and one of a kind staff. I never felt any stress over planning or coordination of the event. I would definitely recommend this to anyone wanting to get away with the family." "Great place and we will definitely be back! 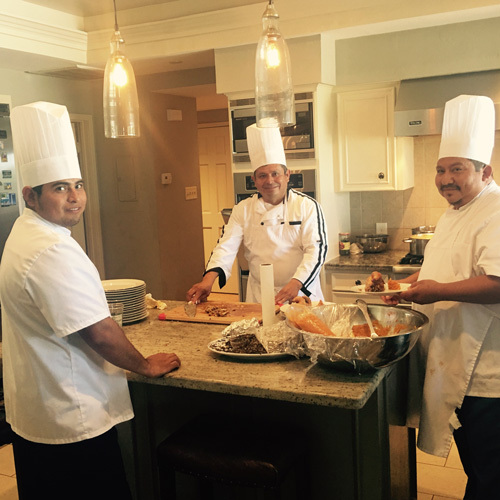 We had the chefs take care of all of our meals and it definitely was a good call!" "I had the joy of attending a celebration honoring Erie Smith May 6. 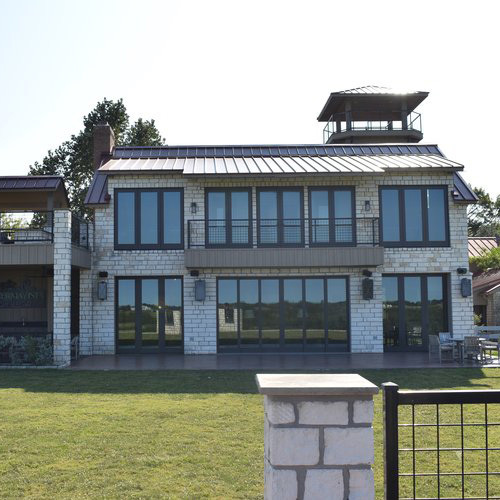 Your hilltop ranch was charming, with breathing-taking hill country views, and the food was yummy. We had a ball. In advertently I left several items upon departing. Once home I realized I'd left something valuable. Contacting the manager, Ruth, was easy and she acted promptly. My items were mailed immediately and returned in excellent condition. This response was consistent with the prompt, caring, courteous, and personal attention shown each guest at the event. Thank you PermaVista for the memorable event." "We rented PermaVista to host a Retirement and Birthday Celebration for about 60 guests for one of our Posh & Private Event Design clients. The entire staff was very responsive and quite flexible to our needs in the weeks and days leading up to the event, which, as an event planner is something that is priceless to me. 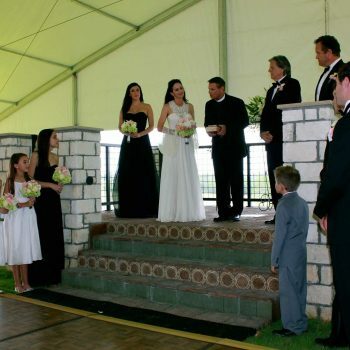 The event was held outside on the croquet court – which was the perfect picturesque backdrop for the celebration. The owner, Robert, even stayed on-site to ensure the event went off without a hitch, and most importantly… the food was AMAZING!" 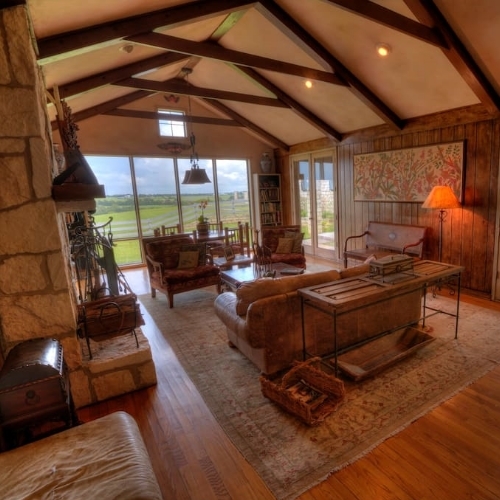 "Beautiful ranch with excellent food, stunning views and wonderful hosts. They were incredibly patient with us and our constant back-and-forth as we tried to work out logistics on our end. Would love to stay there again, and would say it was for sure 10 stars out of 5!" "Beautiful home and property. Horse trainer Shannon, was incredibly sweet, and certainly experienced in the training and handling of the horses. Loved riding the horses around the property and neighboring properties. Axe was a sweetheart and easy to handle, coming from an inexperienced rider. For being the quiet one, he kept trying to be the leader! Ranch and kitchen staff were wonderful! They were so accommodating, and super friendly! Breakfast and dinner served was delicious. Overall experience was great! I would definitely recommend this property to family and friends. Just a few observations/recommendations - a shower would have been nice in the bedroom that only had the tub. Recommended for: Families with Young Children, Sightseeing, Girls Getaway, Families with Teenagers." "Spectacular memorable ladies’ trip! This was a great, fun, relaxing place for a ladies shopping excursion and retreat. 13 of us had a blast in the game room til all hours, and then woke to the most delicious breakfast.....bacon being cooked, tables set up out by the pool, pancakes, huevos rancheros, oj, coffee....being waited upon by 4 servers and a great chef. Also, we hired the chef for a delicious mexican- inspired gourmet dinner. Everything we asked Ruth, the concierge, to do for us was done with a smile. The only thing you have to be aware of is the fact that all the ranches out there are on a septic tank system, so water pressure is very low. Some showers were a trickle. But there were lots of clean beds and wonderful spaces to gather in. We will definitely go again! We didn't take advantage of the horseback riding or tennis, but next time for that, too. ) Also, the drive through hill country is beautiful." "We had a big group wanted to have a relaxing getaway during the first weekend of Spring Break. Once we found this ranch in Airbnb, we knew that we have found the one we were looking for. The promptness and professionalism of the host and the owner, with some personal touch made it easy for us to book it for our getaway. Our entire team was delighted with the warm reception we received when we arrived at the ranch. The ranch itself was great and definitely exceeded our expectations. Even though the weather could be better than what we had, but that didn't prevent us to have fun in the swimming pool/spa, in the game room, in the horse-riding, in the basketball court, or just being in the seating areas. They even offered us an extra room in addition to some extra air-mattresses to accommodate all of us, and they didn't charge anything extra for that. The welcoming fruit basket was also a pleasant surprise. The service of the entire crew was simply top-notch, starting with the owner, the host Ruth, the care-taker Julian, and the horse-trainer - all were super nice. Thank you PermaVista Ranch for giving us a memorable weekend. We all are planning to come back here in future." "The weekend my family and I spent at your ranch was one of the best I can ever remember as a group. When we drove up to the property everyone had the Wow Factor on their face. It was one of those moments we knew we would be back and we had not even walked into the front door. The beds were comfy, and the ranch design just perfect. 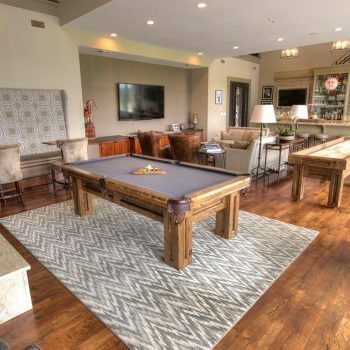 The $1 million dollar game room looks like a million! The horses, the food, the staff all definitely 5 star! “Piece of Heaven!!! Great, great, great!! Go!!" 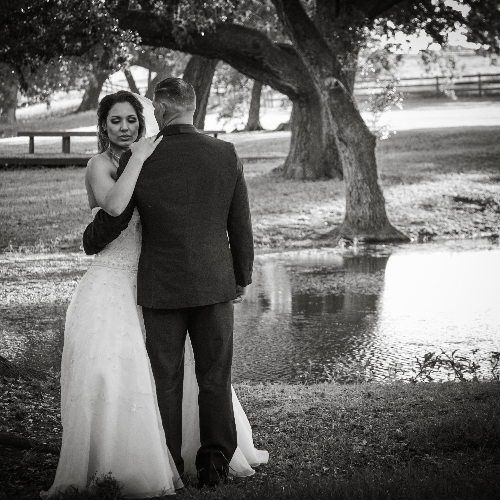 "My wife and I were married at the PermaVista Ranch in the spring of 2013 and it couldn’t have been a more perfect setting. We hosted around 130 guests who flew in everywhere from California to New York to celebrate with us. 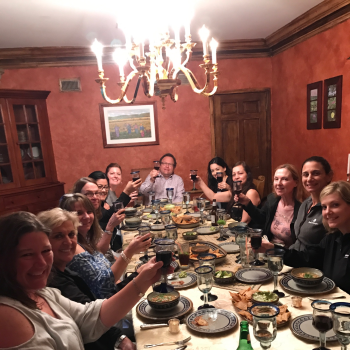 They were all greatly impressed by the landscape, views, buildings, amenities (the pool, tennis court, and horse riding program), and especially the excellent food and service provided by the PermaVista staff at our rehearsal dinner. The main house and front courtyard are ideally suited to hold rehearsal dinners, weddings, and receptions and easily accommodated our group. 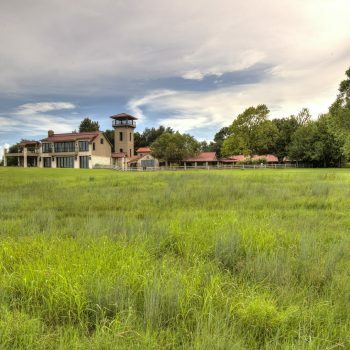 Before booking the PermaVista Ranch, my wife and I looked all over Houston for alternate wedding venues, but agreed this was the best - truly a unique and special place. 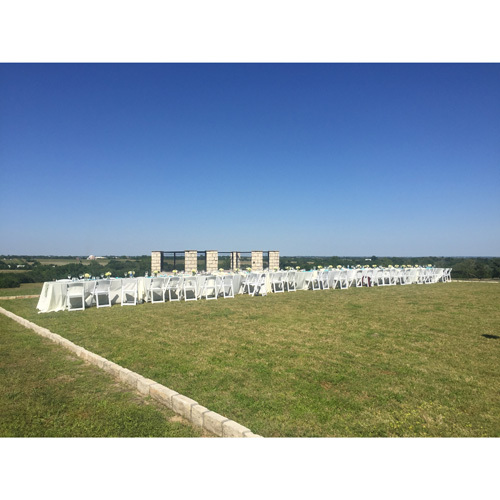 I couldn’t recommend this more highly – plus it was the best wedding I’ve ever been to"
"I have been a guest at PermaVista Ranch many times. 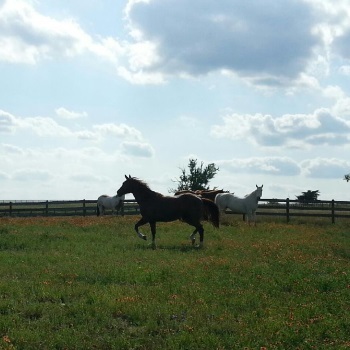 The landscape is gorgeous; rolling hills of horse pasture, wooded glades, and a sleepy pond near the horse barn. 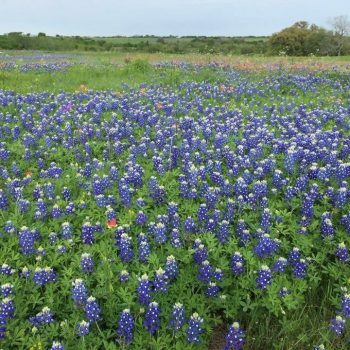 In the spring, the fields boom with the blue-purple Bluebonnets and the yellows and pinks of Indian Paint Brush. The accommodations range from nice and comfortable and homey to spectacular (the newest wing), and they are everywhere attended by beautiful landscaping, from fruit tree-lined gravel roads, to roaming Bougainvillea, to Hibiscus exclamation points, to colorful plantings along the walkways. Sitting by the pool in the late afternoons and evenings and early mornings brings deep tranquility, looking out over the large expanse of fields and sky, with an occasional distant rumble of a passing train. 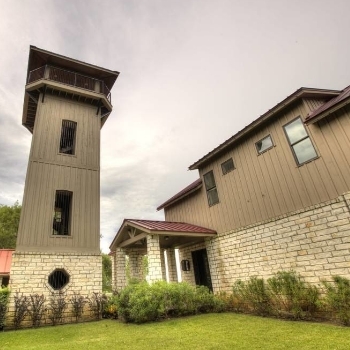 PermaVista Ranch has a tower from which the views are even more commanding. There is a powerful telescope in the living room which provides astonishing views of the heavens at night because there is no light pollution in PermaVista's night sky. The experience is complete with three deliciously interesting meals per day prepared by a chef, always fresh, from scratch, using ingredients from PermaVista's vegetable and pepper garden ~ PermaVista even makes its own hot pepper garnish, called "gunpowder", which is not too hot and which has a complex and interesting flavor from the several different pepper varieties used to make it. 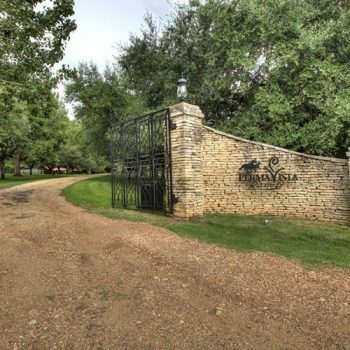 PermaVista Ranch is truly a hidden gem to be appreciated by the most discriminating travelers. I whole-heartedly and un-reservedly recommend it. Enjoy!" "PermaVista was an amazing place to hold my daughter’s bat mitzvah celebration. 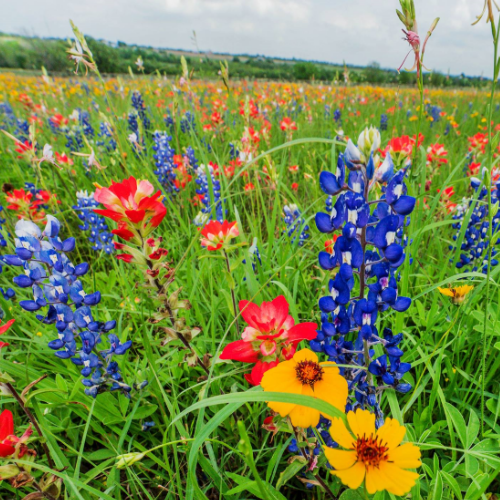 The natural beauty of the Texas Hill Country never disappoints. 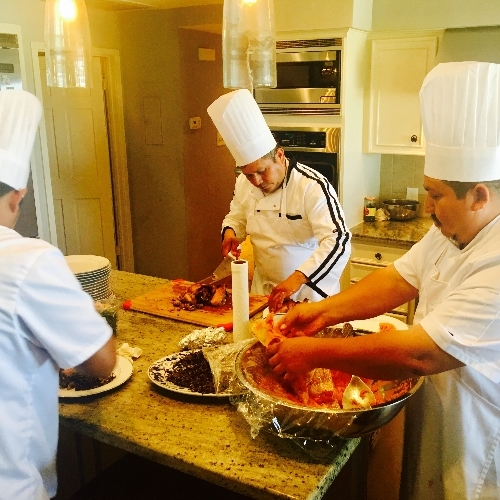 And the folks who work at the ranch all went the extra mile to ensure that each detail was properly executed, from following recipes, to decorative arrangement of platters, to replenishing the buffet. We had a total of 140 adults and children who all raved about the spacious and beautiful facilities, both indoors and outdoors. While we had to go home when the party was over, we were offered our choice of the many beautiful bedrooms that could have accommodated at least 20 of us. Everything was top notch!"